Held each September, National Chicken Month is a time to speak out against the inhumane treatment of chickens. There are over 9 billion chickens in the United States suffering in overcrowded, unsanitary factory farms; and we need to do something to stop it. Chickens are often viewed as a business transaction or a necessity to get us through dinner time; but why can't a chicken become a pet instead of a meal? It's time to stand up for the chicken and ask for humanely-raised healthy chickens. There are many benefits to raising free-range chickens. Did you know that free chickens produce more nutritious eggs? These chicken eggs will allow bakers to bake fluffier cakes and make healthier baked goods. Also, free-ranged chickens are less likely to be overweight and will not be in danger of obesity. And, as a bonus, free range chickens will scare off insects in yards and eat grasshoppers, beetles and bugs -so, chicken farmers can save money on insect sprays. 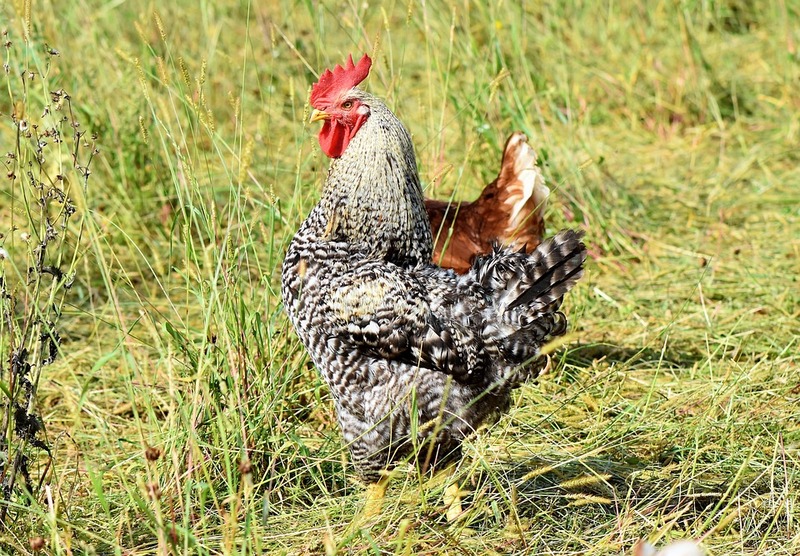 Raising chickens in a fenced-in pasture or organic farm gives chickens the shelter and protection they need from wildlife predators and inclement weather. The best height chicken fence will need to be high enough to block jumping attempts from foxes and coyotes. Foxes cannot jump over 5 feet; but coyotes can jump at least 6 feet high; so, a poultry fence will need to be at least 6 feet high, chickens should stay protected. Although there is electric poultry netting on the market, chicken owners can choose a more humane option that will not shock livestock. Instead, a chicken fence made from a steel hex web construction will create a chew-proof barrier that will keep-in chickens and keep wild animals out. Not only is this metal fence virtually invisible, but it will last 20-30 years.